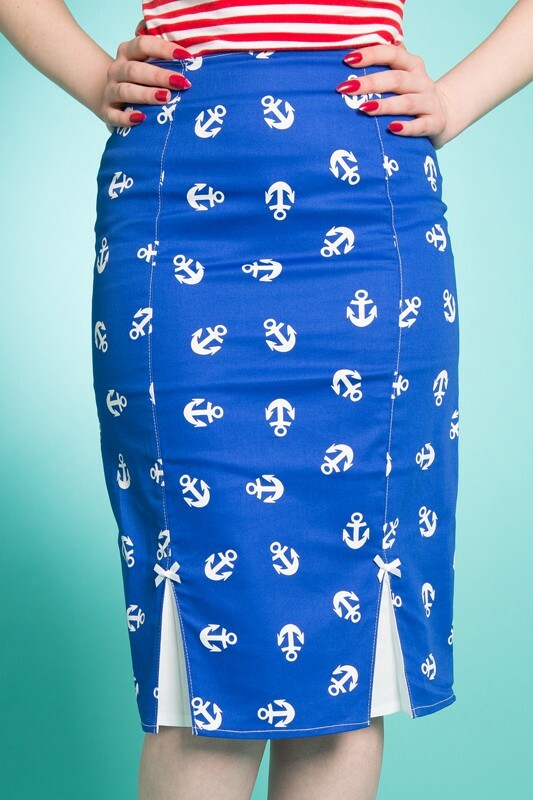 This high waisted, stretch cotton, pencil skirt is printed with an all over anchor print against a royal blue background. 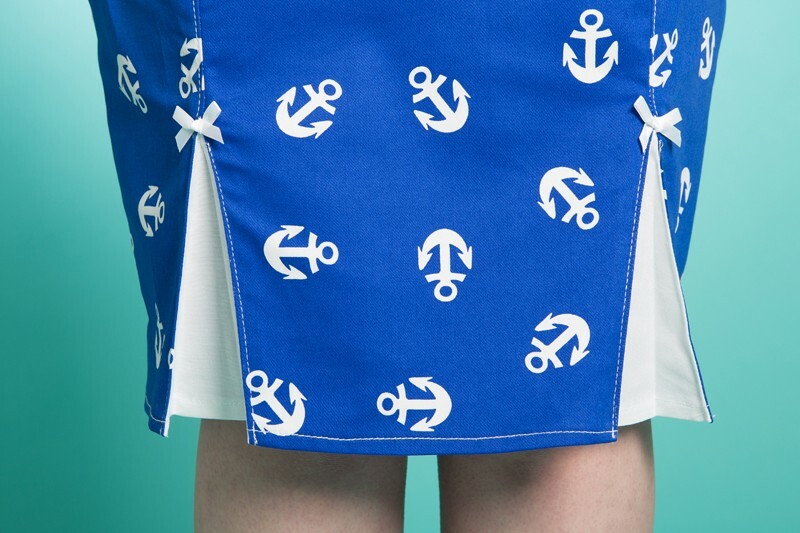 It features pleats on the front and back inset with white cotton and finished with little bows. XS: 25 inch waist, 35 inch hips. S: 27 inch waist, 37 inch hips. M: 30 inch waist, 41 inch hips. L: 34 inch waist, 45 inch hips. 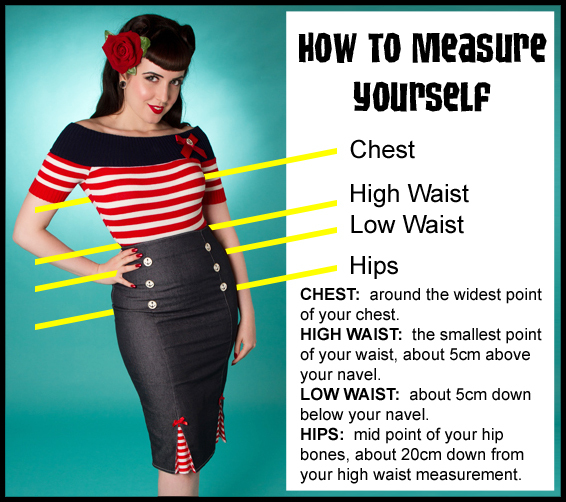 XL: 37 inch waist, 48 inch hips. XXL: 40 inch waist, 52 inch hips.